Air travel may be the fastest, and maybe, easiest mode to go on vacation. But it’s certainly less adventurous than traveling on a cruise ship, right? Going on a cruise vacation can be pure heaven. Imagine going onboard a big ship designed with plush interiors and going out to distant sea where you see only endless blue water, take breaths of fresh ocean air and bask leisurely under the healthy rays of the sun. Going on a cruise vacation can also be an adventure. 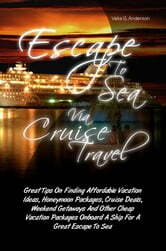 The nature of a cruise trip is always inclusive of extraordinary events and a series of exciting activities. Suffice it to say, there is never going to be a boring time when you’re in a cruise. For one, you get to explore different ports of call and that’s like traveling to as many destinations as you can in one package. You get the opportunity to explore these shores even if it’s for a limited amount of time, and having just a fleeting glimpse of these places can be gratifying enough. For another, the cruise crew makes it their business to entertain you. They provide you with a never-ending schedule of activities that keep you occupied round the clock, all you have to do is choose which ones you prefer to engage in. Also, you can of course go at it on your own, wander around places on your own or do whatever it is you feel like doing while onboard. 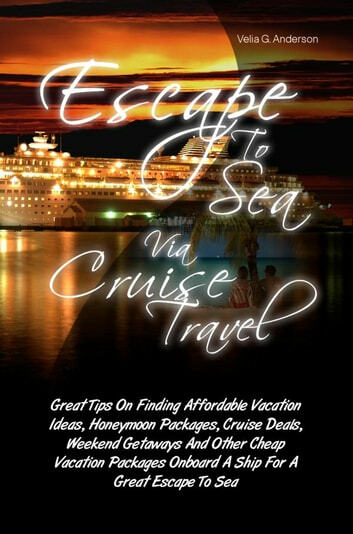 A cruise is truly an escape to sea. Think of it as a different kind of vacation. It’s a pleasure trip away from land, away from reality, even if it is just for a short while. Prepare Yourself for China: The Visitor's Survival Guide to China. Second Edition.